PossibleNOW: Webrooming vs. Showrooming: Are You Engaging Both Types of Shoppers? 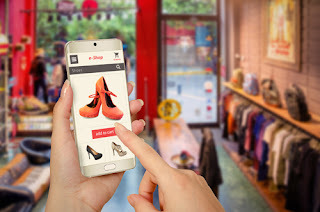 Webrooming vs. Showrooming: Are You Engaging Both Types of Shoppers? According to Forrester, "webrooming consumers will bring in $1.8 Trillion in sales in 2017." Marketers need to understand this new type of shopper. If you are not adjusting your strategies to keep pace with this new reality, you could be setting your brand up for missed opportunities. Webroomers don’t want to pay for delivery and want instant gratification. Showroomers want to touch and feel a product prior to purchasing. What can marketers do to engage this new shopper? In a Think with Google report it was noted that 82% of shoppers say they consult their phones on purchases they're about to make in a store. Beauty retailer Sephora has embraced the showrooming and webrooming concept. Mark Alexander, director of mobile product management at Sephora USA Inc. commented, "Mobile continues to be our fastest growing channel," Alexander says. "We're really excited about what mobile can do for online and in-store sales." Sephora's mobile app offers an "in-store" mode which consumers can use while they browse to scan in a product to read online ratings and reviews and access the loyalty program to check reward points. The store can also send personalized messages and alerts to consumers with the app via Bluetooth beacon technology. Recently, Walmart also embraced the Webrooming/Showrooming trend and responded with some innovative offerings. Understanding that two of the big "asks" of today's consumer are immediacy and free shipping, the company has adjusted its online shipping policies to make it easier, cheaper and faster for consumers to get their selected merchandise. Walmart's new 2-Day Shipping is available on popular products and applies to orders over $35. The company also offers free shop on line/pickup in store as well as free grocery shop online/pickup in store. Marc Lore, president and CEO of Walmart U.S. eCommerce noted that "Two-day free shipping is the first of many moves we will be making to enhance the customer experience and accelerate growth… In today's world of e-commerce, two-day free shipping is table stakes. It no longer makes sense to charge for it…"
And, taking things one step further, Home Depot not only offers order online and pickup in store, but the company also offers to "do the heavy lifting" by letting customers order online and have it delivered from the store at their chosen delivery time and date that can be selected from a scheduling calendar. More so than ever before it is no longer about how brands want to sell, rather it is all about how today's omnichannel consumer wants to shop and buy. Marketers need to meticulously watch, learn, and re-evaluate shopper behaviors so new practices and technologies can be developed in response to demands. Understanding the ever-changing purchase journey is the first step in meeting a new type of shopping expectation. Not embracing Webrooming or Showrooming actions could jeopardize current and future relationships as consumers gravitate to brands that step up to deliver innovative purchase options.